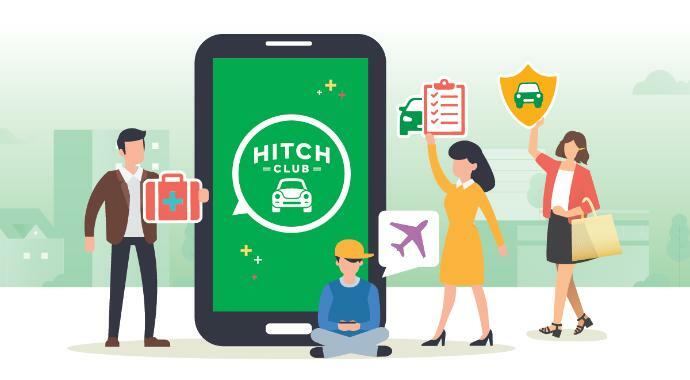 Grab announced today in Singapore the launch of Hitch Club beta version for the company’s GrabHitch drivers, which everyday drivers can use to get merchant deals such as cashbacks on Shell fuel purchases. Grab essentially gives rewards for GrabHitch drivers whenever they network through the app and give them a no-show guarantee. By September 1, every GrabHitch driver will get 10 Hitch Club points for every S$1 in fare that they collect. Drivers will get the points multiplied for completing rides on weekends. Drivers will also get something resembling a badge called Hitch Club tiers. There are four tiers called Rookie, Go-Getter, Pro, and Champ, and each will determine the benefits they are eligible for. These benefits will include cashback up to 11 per cent on Shell fuel and S$150 cashback for car insurance with Etiqa, 5 per cent and 8 per cent reduction in platform fees for Pro and Champ tiers, respectively, and cost refund for 30 per cent if Champ tiers holders reported the event wherein the rider doesn’t show up within 24 hours. This initiative is an experience improvement for GrabHitch, which was launched in 2015 for everyday, non-commercial drivers to give fellow riders who are going the same way a lift for cost efficiency. Hitch Club will be a way for these drivers to get more savings for an average of S$400 they recover. “We recognize that GrabHitch rides are not-for-profit, and want to do more to reward everyday drivers who share our vision for a car-lite society and give fellow commuters a ride. Grab believes that social carpooling is key in helping us better utilize all vehicles and contribute towards a greener future,” said Andrew Chan, Head of Transport, Grab Singapore. These perks will only be accessible to GrabHitch drivers. The post Grab wants to reward its GrabHitch drivers with Hitch Club appeared first on e27.